Looking for 3 bhk flats in Indirapuram. We have many options available for residential society flats in Indirapuram. These flats are well equipped with all modern facilities. Spacious and ideal for families looking for expansion. You can also book new flats in newly developed societies. Facility for sports like TT, badminton etc. Many societies with own swimming pool. 3 BHK Flats are available in societies in Nyay Khand , Ahinsa Khand, Neeti Khand and Abhay Khand. These flats are available fully furnished and semi furnished condition. 3 Bhk flats are available in socities like supertech icon, Amrapali Village, Shipra sun city, Krishna Vista, Gaur Green Avenue, Rajhans Residency and various other society in Indirapuram. 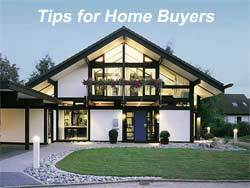 Buying a home is one of the most important task and a dream for any individual. It takes lot of prospecting and planning when buying a home. It is often your single largest investment so it makes sense to keep few things in mind when buying a home. Budgeting or the maximum money you can spend to buy your dream house depends completely upon your economical condition and your requirement. If you think you have two spend x amount of money to buy your dream hone, be prepared to stretch your limits by some amount if you find that the home suits your requirement but is slightly over budget. This is completely your personal call but compromising on your dream home for little amount of extra money which you can afford is not a very wise thing to do. You may repent your decision later if you miss out on a home which is just a bit over budget as the same home can get too expensive in times to come. Moreover you will only gain in the long run if you can just take the chance of stretching a bit. This is a very important factor when buying a home. You must keep in the mind the infrastructure of the particular area, facilities you want, the kind of people you want to live with especially your neighbors, transport facilities, schools, hospitals and local market etc. You should yourself judge your preferred location. Until and unless you are real estate professional you should involve and take services of a real estate professional of your specified area to show you the best options for your property requirement. A local real estate agent has more knowledge than a common man about the availability of property in your locality. He or she can give you numerous options which are to your liking, meet your specification and come within your budget. Also you need not worry much about the paper work as this is the responsibility of agent. Of course do read the papers carefully before signing and don’t hesitate to ask questions. If you go to too many agents and look at too many properties you will surely get puzzled. Taking opinions from too many people can also confuse you. Its your home and your are the best judge. Do listen to others but don’t get confused. Indirapuram is one the prime locations of Ghaziabad. In fact currently it is the best locations in Delhi NCR. 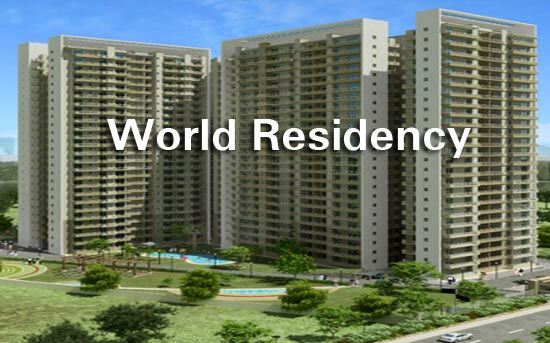 Indirapuram is a modern township with best infrastructural facilities. Indirapuram is the first skyscraper location in the city of ghaziabad. 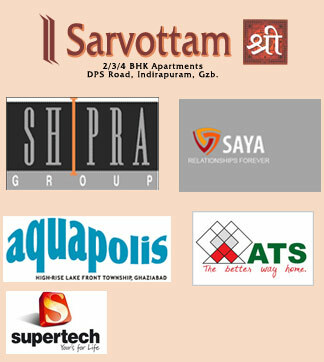 Majority of famous and well known builders like supertech, Gaur etc have tasted their initial success as builders in Indirapuram only. Close proximity to Noida, Delhi and main ghaziabad is the unique selling point of Indirapuram. There are prominent schools like DPS, Motther Teresa, St. Francis school and many other renowned institutions at Indirapuram. There are numerous shopping malls like shipra mall, Aditya mall, Jaipuria Mall etc which offer plenty of shopping options to the residents. Recently opening of big everyday need stores like Easy Day of Bharti Wallmart has made shopping for everyday items and grocery items even much easier. Shipra Mall is one the oldest and grand mall in Delhi NCR with a unique design, ample of open space and parking space. Shipra sun city is a mini township here which is quite well known. Due to its cosmopolitan nature this mini township is home for most of the young IT professional working in Noida, Delhi and gurgaon. The swarn Jayanti Park is a well maintained park managed by GDA. It is open for general public. Although the whole of Uttar Pradesh has power shortage and power problems but in Indirapuram all the societies have power back up so electic cuts are hardly a thing to worry about here. Vaishali and Vasundhara are attached to Indirapuram and Kaushambi is also located within two 2kms from Indirapuram.